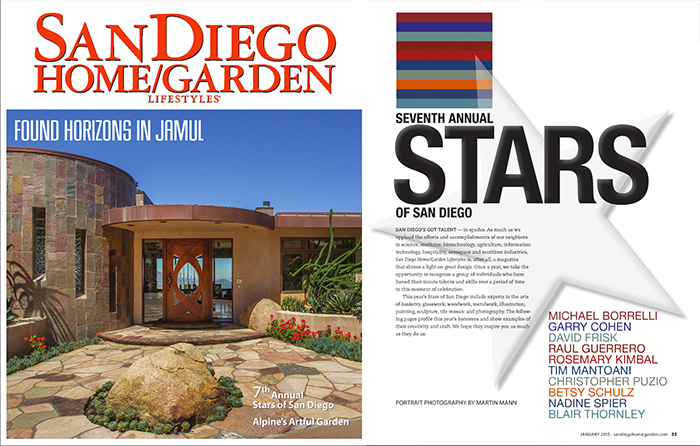 Betsy K. Schulz is thrilled to be selected as one of the ten talented artists and designers in the 7th Annual Stars of San Diego, featured in the January 2015 issue of San Diego Home/Garden Lifestyles Magazine. 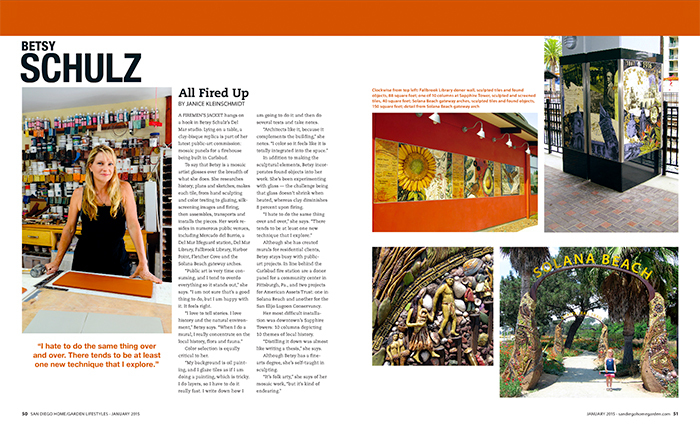 Thank you, Janice Kleinschmidt (editor of the magazine) for your lovely article. Read the article online. (the article starts on page 35) or better yet buy the magazine.